Can you believe it - two foot posts in a row! Actually, in a lot of ways, they compliment each other quite well so let me tell you about the most recent kit that I was to sent to review by Evans. I was contacted by Evans to see if I wanted to participate in a Summer footwear inspired collaboration with Scholl and I jumped at the chance. Like I said in my previous post, I am always struggling to keep my feet looking good during the Summer months, so anything I can do at home is great. 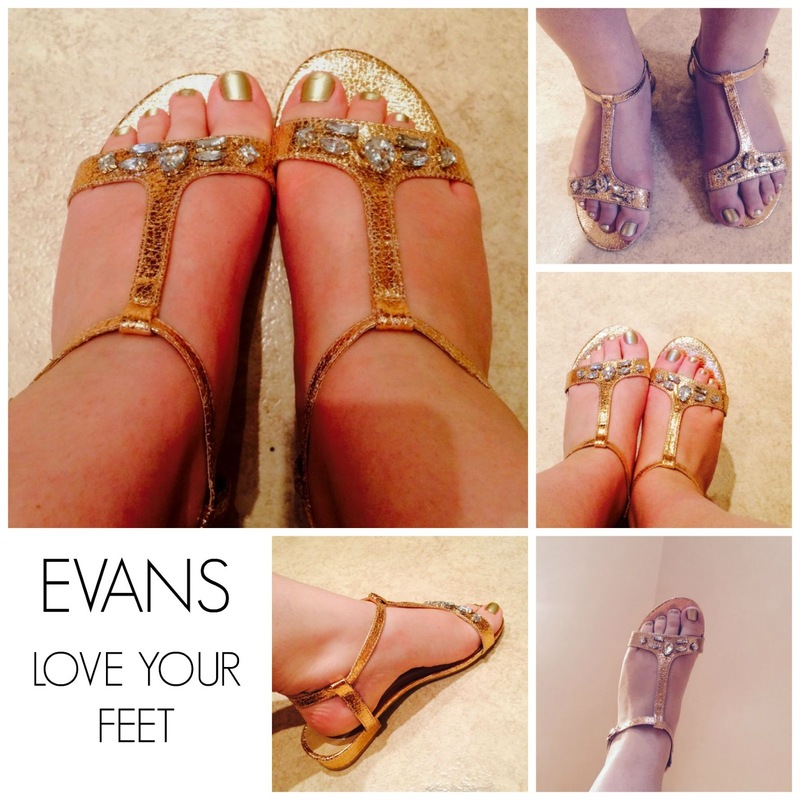 I was sent a Scholl 3-Step Perfect Feet kit and the most gorgeous pair of sandals that I chose from the Evans website and set to work to test everything out. I will be the first to admit that I have seen the Scholl diamond file on TV before and not been convinced and a bit skeptical of how well it would perform but I stand corrected, it actually really does work! The first step is to file your heels and anywhere else that may be dry, cracked, and difficult and it's really quite addictive. 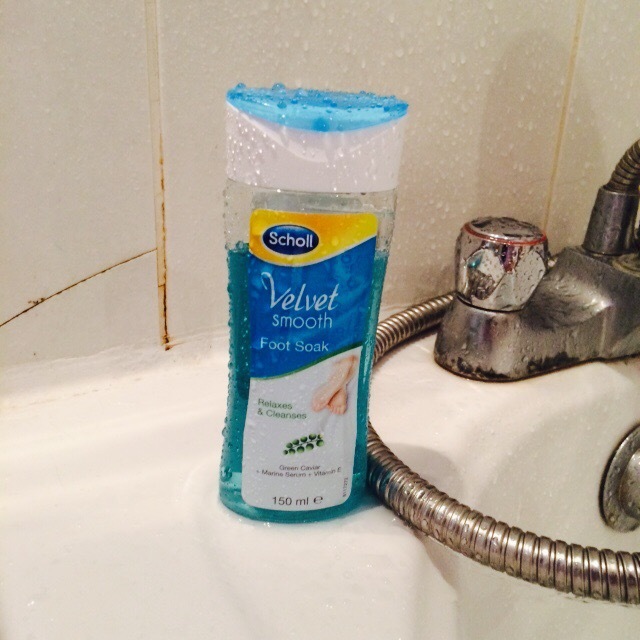 I would recommend doing it over a towel or straight in the bath tub for easy clean up as it leaves "dust" everywhere. Once you have done that, you use the foot soak to soften and calm your feet. My feet felt lovely after the soak - it would be great after a long day standing up too, just to relax sore feet. The last step is to cover them in the hydrating gel layer and your feet immediately look amazing! 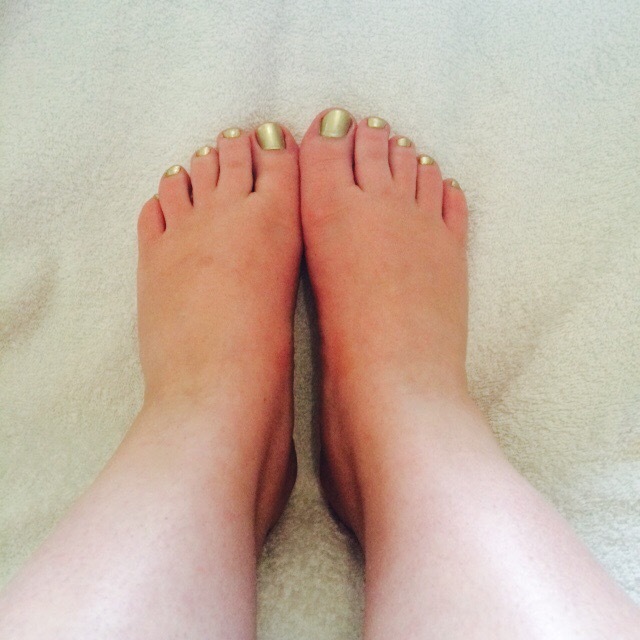 I even plucked up the energy to paint my toes gold so it was a complete makeover and now all I want to do is go squidge my feet in the sand somewhere nice but alas the weather has gone chilly in London. Once I was all set, I popped on my glorious new gold gem block heel sandals which I am wearing in a size 6 wide fit - and I would say that these are actually wide fit and true to size. Thank you so much to Evans and Scholl for the lovely opportunity - my feet will be looking good for the rest of the Summer and beyond!